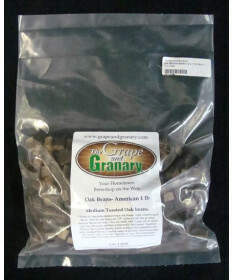 Grape and Granary provides oak cubes (or oak beans) to the home winemaker which allows them control the flavors of oak in their red and white wine fermentations without the need for a Wine Barrel. Our StaVin(tm) beans are slow fired and toasted in the same traditional way that wine barrels are produced. 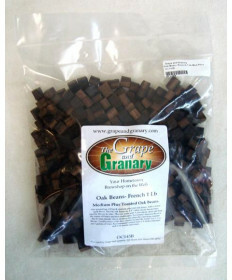 Unlike Oak Chips, cubes offer a slower, more complex extraction, matching those produced by a wine barrel. 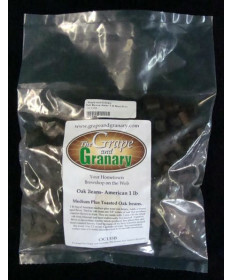 Cubes can be added directly to Carboys or Small Barrels. At first they will float. After a week they will sink to the bottom of the bulk aging vessel. 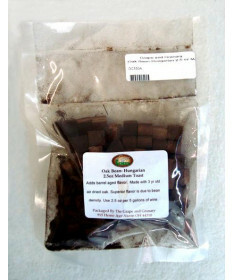 We recommend 2.5 ounces of cubes per 5 gallons of wine during the bulk aging stage. Wine should be tasted on a regular basis and racked off the oak when the desired flavors and aromas are extracted. 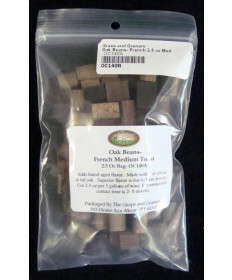 Oak cubes may be put directly inside the bulk aging vessel or can be put inside a Infusion Tube to help with quick removal. 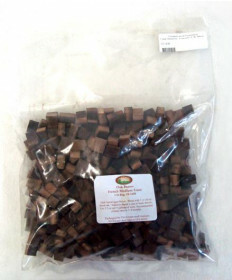 It is not necessary to sanitize oak cubes. 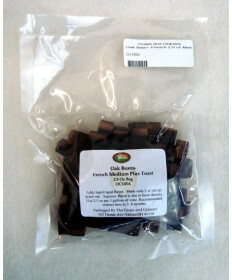 Using Oak Cubes also aids in the stabilization of color in the finished wine and helps cross-link Tannins which builds structure in the wine. 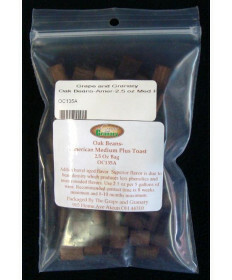 Grape and Granary stocks French, Hungarian and American oak cubes in a variety of sizes. 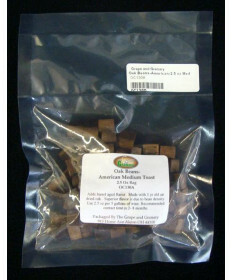 Contact Us if you have questions about any of our oak cubes.